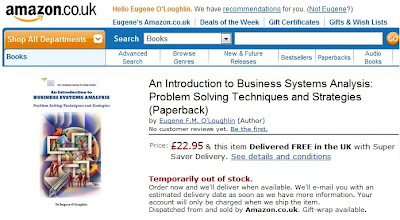 Careful With That Axe, Eugene: Temporarily out of stock! Wow - is this a good or a bad thing? My book is "Temporarily out of stock" at Amazon.co.uk. However its Sales Rank is "1,119,746 in Books" - I don't think this is something to get too excited about. I don't know how this works - did they get just 10 books and sell them all? 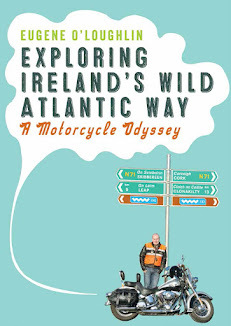 I'll check with David G of The Liffey Press at the book's formal launch next week (I am getting just a little excited about the launch now!!! ).